Molly Montale sent me THIS LINK to Sita Sings the Blues, an awesome animated film version of Indian epic Ramayana. Ugh just fried after staying at Mamachinima from 12:30 until 8pm barring one hour spent at Spaceport for Kat's Combat Cards event. /me droops from lag burnout. 'Meanwhile, the fastest-changing words are projected to die out and be replaced by other words much sooner. ...however I decided to download anyway and got THIS. That's the video I wantched 887678788 times, with the DUCK and the fireman and the schoolmarm (although the fireman gives flowers to a girl, it's the sheriff who gives flowers to the schoolmarm). 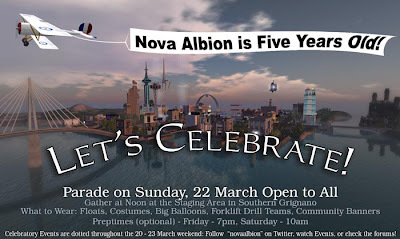 I spent some hours yesterday fine-tooth-combing Nova Albion with LisaHot Juran, landmarking damage. I did Grignano and Sistiana; Lisa did Miramare and Barcola. I teleported around to all her landmarked damages so I could put them in categories, and prioritise them all, then I compiled it all into a very organised notecard and gave it to Michael, who will, I hope, repair it all. The poor city has had a lot of damage, in many cases due to the fact that some infrastructure prims were set "anyone can move." I first discovered that a year or more ago and sent a short list to Michael that he attended to. This list is much longer, yet the repairs would be fairly easy to affect, and in most cases not very time-consuming (not nearly as much as collecting the landmarks). A simple "copy selected" would fix at least half of it, I think. The railings on the canals are a bit fiddly I think, but perhaps not as much as I fear. I included the missing walkway section at Luna because I adore Luna and had reported the damage many months ago to the LDPW to no avail. Luna is sort of a part of N.A. I included the wonky bridge prim that has been crook FOREVER. Often a prim like that can be fixed by hollowing it, then closing the hollow, or if not that way, then by dragging to leave a copy. If it's just a matter of the border that is easy to deal with. 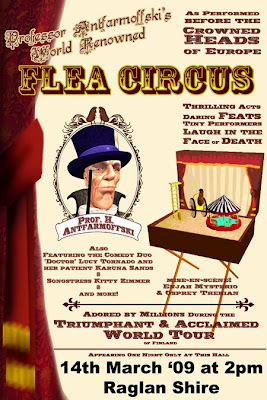 After that I made the flea poster. Some more hours, but it looks nice. Today Phate contacted me and asked if I could test AnyPose, which I tried to do very thoroughly and using myself and Lucy Tomato Tornado as models. I wrote down everything on the help notecard and gave it a good going-over. Using the HUD is much easier than using the page up/down, arrow method, and I made some poses, emailed myself the bvh files, then uploaded to SL with no difficulty. That took hours, too. After that I ran into Musa David whom I had not seen in many moons, which was nice. I just got home. The rain, when I left. looked funny, as though it were trying to become sleet, which it managed briefly before transmogrifying into snow just as I pulled in the garage. A couple of inches are what the forcasters are calling for. Can't add a profile pic, hah. Another big issue in the jira - it's good that bugs are getting found that, when fixed, will result in an improvment in SL. I forgot I made this - I was just wandering around one night and filmed a bit in this interesting sim. It suddenly occurred to me - I've been basking in the brilliance of one of the greatest of all men. Like a flower turning to the sun I was unaware of the source of the illumination and warmth - yet, now, the scales have fallen from my peepers and I leap into the air before falling to my knees in humble gratitude. Psssst - was that overdoing it? "What do you want to do, Yo?" "I don't know. What do you want to do, Os?" "Hmmmm... not sure... ' "Mmmmm... me neither." Omega and Enjah - the furry versus miss fix-it, yesterday in Europa. Enj won the match. Why can't sims be spheres? I'd like to see supersim planets. They could be teleported to even if not joined by space. Ugh - although I was suffering from something unknown yesterday, I thought it would be gone today and so didn't mention it. Alas, it seems not to be gone. Oh, well. Ozymandias met an Italian man who is a rl pilot, and got a virtual plane ride. 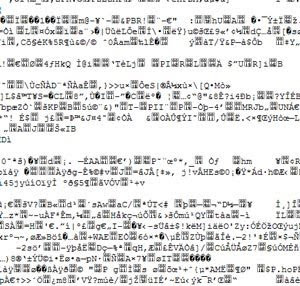 Jira report SVC-3867 points to a very bad bug that, when fixed may well result in lower lag across the board and perhaps a tremendous lag reduction in some sims. Although as yet no one has a repro, what's going on is that in some cases (at the moment random-seeming as in ghost prims) a scripted object is deleted but its scripts keep on running. Island owners and managers have seen cases where an item was removed because its script was lagging the sim. After removal no change was observed and in fact the script could be viewed in island management tools. If a ghosted script is targeted by beacon, and then removed that way even though it isn't visible or meant to be there, it will finally be gone, I think, but that's a tricky line to follow on a busy island, and one that mainland owners with no management tools are not able to emulate. 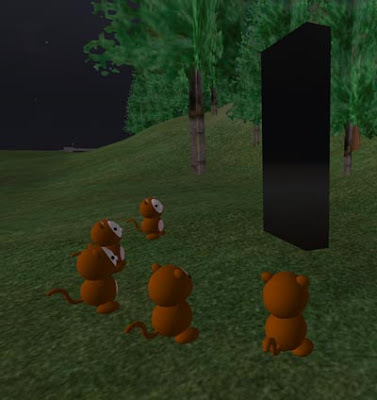 Weird dream: "You should be able to press F7 for 3D." And (might've been a separate dream, not sure, a long building with rounded corners, thick walls, lots of windows with thick glass, and banks of revolving doors - I think it was sectional and the doors were between sections It was warmly neutral, had no furnishing, but people were in it. I was trying to dodge a man who was (not threateningly but annoyingly) traipsing after me or stalking me. He had a camera and, I think, a yellow hat. A thin building with rounded corners - a computer interface in building form. Well, I had (after vastly complicated on-again off-again scheduling all morning with Kevin as Sean is unwell) my hair cut today, then had jin shin, then went groceterisationing briefly, then came home at five and Tiff came twenty minutes later; she just walked out the door. This has been a busy day for me although a few years ago I wouldn't've thought so. My days can seem exhaustingly full with half that expense of energy, unfortunately. SJ was here on Monday, and we had a conversation about Philip Guston. When she was in D.C. installing that show she made time to see a Philip Guston exhibit, and had some thoughtful things to say about his work. From my viewpoint - a number of years ago (100?) I saw a collection of Guston's work at a museum in California, and although I had never been interested in his work in reproduction, the actual works had a power that I hadn't expected; I can see plainly in my mind's eye the stub of wall next to a doorway to the right of which hung a Guston drawing of a head facing left. About 26"x 20" maybe, and iconic, perplexing, memorable. The show SJ saw contained works from the three major stylistic periods of his life: representational, abstract, and the late drawings. She said the abstracts were not like anyone else's abstracts - somehow they had a pulsing energy. 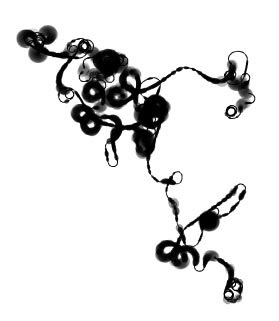 Faced with the drawings, she recognised the same pulsing energy - she thought, "I... think I'M BEGINNING TO GET IT." The vibrating energy as I recall in that drawing came at least in part from the tension between the way we think something should be and the deliberate flouting of conventionality, the narrowness of the line, the amount of negative space - the central figure inflated with it. I dunno. All I know is that I didn't see that in reproductions although I might see it NOW after having seen originals. Reproductions are impoverished versions, and although we think they substitute for the works, in truth they are mere placeholders. I remember vividly, as a teenager, standing before a drawing in a museum, and seeing the erasure marks - the human marks of process and changing thought. That's a minor thing, yet it underscores that the artist - who may be a "god" in the art firmament - is in truth a human being, in a way reminiscent of those Mary and Baby Jesus pictures where the boy's genitalia is meant to mark his bond with humanity. That sounds like a stretch, yet as a young artist it seemed so. The new SL replacement for everything outside the program itself starts tomorrow, and yes, I'm anxious. I won't believe things will be saved until I see that it has been done. As I recall it was Robin who said the forum contained our history and would be saved, and as Robin is gone all bets are off. Although years of invaluable information is contained in the forums LL has not had a good track record in the valuing-the-forums department, which is evidenced by the missing or corrupted images of older posts. I can't even express how much crucial information I have found in the forum over the years. 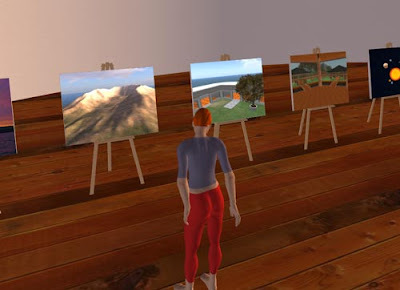 As well as being a place to find an answer it's a place to ask a question - and to receive an answer or several, meet people, find friends, and be encouraged to proceed with Second Life. 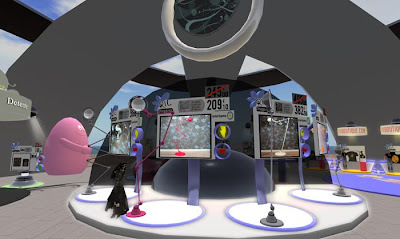 In all ways it promotes that idea of Philip's that if you find a friend in Second Life you are more likely to stay. While a knowledge base or other one-way tool is useful, they in no way substitute for the living, breathing, entity that is a forum. The argument that the same question is asked billions of times is not convincing to me since for every "Oh my god, I deleted a particle script from a prim and the particles keep coming out!1!1" or "I can't select anything of anyone else's - is it a bug?" questions, there is someone who answers quickly and/or (as I've done) gone inworld to sort the problem out, giving aid to the new person in a personal way that has no substitute. A fairly common post is, "Help! 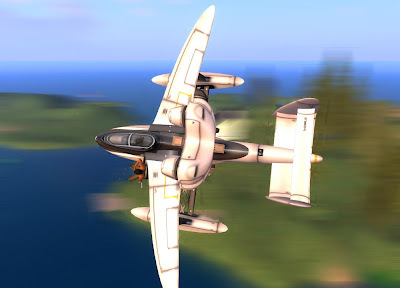 Can someone go inworld and tell my partner my computer blew up?" or something of that order - which would not be helped by a knowledge base. A forum is our chance to help each other - something many of us want to do. More complex questions may receive a number of responses looking at things from different perspectives and in separate cases. Some people have great expertise in, say, land. Others may have interface knowledge or be able to tell you where a certain skin or hair came from by looking at a picture. Sometimes the person asking the question can't ask it very well - for instance someone new may think they need a script to dance (recent forum question), and responders can set the person straight, point her in the direction of some good animation shops, and relate personal experiences. Look at it this way: in Second Life we have some but not all of our senses. We lack, for instance, a sense of smell. The forum is like a sense that we have to use for SL but don't have in rl. The forum has a history of being difficult, but not any more so than any other forum (especially company forum). Sometimes it is obnoxious for no reason; sometimes the posters are upset justifiably. I think that although the percentage of regular forum users is small, those people spread information and help (and probably less positive things of mixed validity) to many. It's not all good - nothing is. But a forum is expected from any company serving the public, so I hope what comes tomorrow is a step up that maintains archived old information and treats it with the respect it is due. Labels: It Came From the Forum, It's the end of the world as we know it and I don't feel fine. It's a small world - at least it feels cramped because it's full of Spam. look at your my inventory .. is your root folder longer than a full page of 255 items??? YOU WILL CRASH AND LAG . you will not be able to login randomly it will cause your cache to be damaged..
it will be a random crashing and random random issues . and lastly you'v made subfolders try not to put too much in them too . especially the objects folder keep them to the level of around 500 to any subfolder. I was intrigued by Phate Shepherd's post on the SL forum about a new product of his devising that would soon be released. Called "AnyPose," the product is in the form of a pose stand and a pose player that will soon be released with copy perms, and in the 3-5k l range. A nutshell description: stand on the pose stand and you may then select joints and move them; save to output the data to an emailed or instant messaged bvh. Although it makes poses, the poses themselves can be used to make animations - I see them as key-framing crucial positions especially in relation to another person. Because I make some fighter animations for Combat Cards, I am interested in this aspect. I could set up two AnyPose stands, or set up an AnyPose stand and a player (which can hold a number of created poses), then move joints accordingly. There is a kind of sublime aspect that I've not experienced before in being able to move directly in-game. 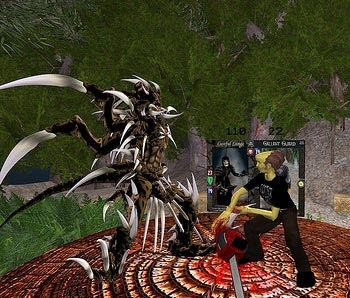 As we know, the much anticipated Avatar Puppeteering of JJ Ventrella which would've added that capability to Second Life fell off the map and its inclusion into the program is uncertain at this point (oh, please, oh, please). The next best thing up to now has been Gearsawe Stonecutter's invention U-Pose, which uses a prim mannikin and allows for more precise movement than Phate's AnyPose, but which does not allow the user to move the avatar on the fly. This is the very interesting part to me: I could, if I were taking a still photo or making video, put out a few stands and say to actor 1 - please lean against the wall -actor 2 - please stand on one hand - actor 3 - please tilt your head up and stand with one arm out. I could have an on-the-fly pose set-up that, yes, would be still - but often that's all that's needed. And there's a HUD which controls up to six AnyPose stands so you can change the poses for avatars on those stands if you wish. Multiple poses can be loaded into the copy/trans Player and given to others. What I took away from the demonstration that Phate very kindly treated me to is that this product is another tool in our arsenal. While not good for everything, it covers territory hitherto unavailable for exploration. It's a bit hard to know now where the usefulness will be and to what degree, and it will vary from person to person, but I think Phate should be ready to be a little surprised by the uses found for AnyPose. "China is currently Japan's largest import provider, and the Japanese slowdown is creating tremendous pressure on Chinese factories. Just last week, the Chinese government announced that 20 million rural migrants had lost their jobs." "A Royal Navy nuclear submarine and a French vessel have been damaged in a collision deep below the surface of the Atlantic Ocean. HMS Vanguard and Le Triomphant, which were carrying nuclear missiles on routine patrols, are reported to have collided while submerged on 3 or 4 February. Between them they had about 250 sailors on board." Hippo Day! W00t! Mich gets in the swing of it. Spaceport's Saturday event was fun. There was a planecrash near Buffalo, New York. The pilots discussed a build-up of ice on the wings before the plane went down, killing fifty. I started another Spore game to see what being a herbivore is like and just wander around looking at details (which is, truthfully, what I've always done in real life as it's just as alien). Anyway, I discovered that my creature can pick some things up and throw them - I hadn't noticed that when I played back in... uh, whenever that was. I tried to kill the huge monsters with 1000 health, but failed. I'd thought luring them to my nest then attacking would perhaps work as my creatures could heal while they attacked, but no, we were smashed a few times. A big notice popped up saying I could earn the Custer badge by leading thirty of my tribe to their deaths - hah. SJ flew back from D.C. on Friday, and rang me this morning* to make me guess who she sat next to and formed a friendship with over the six-hour flight. She gave me 15 guesses but I used about four, I think, and my guesses were not exactly serious. Me: Uh... I have no clue. Al Sharpton? Me: You didn't hear that he escaped? Me: Uh... Carl Rove's brother? SJ: Close! An iconic president's brother. Me: uh... *can't think of any presidents* uh... Truman's brother? SJ: No! Nixon! Nixon's brother! * It wasn't early by any stretch of the imagination, but I can't sleep lately so I stay up all night then crash. As you know, TSMGO is the Mafia of SL... Once you're family, YOU'RE ALWAYS FAMILY and there's no getting out... NO GETTING OUT ! Sure, maybe they'll let you lay low for awhile, or even send you to some distant unheard of island (like Los Vegas)... but you can never really just leave. Me, I'm just an accountant. I tried to get out once and they sent Kitty after me... OMG, I've never been so scared in all my life. So youse guys, say you need some time off or need to get out of the SIM... but good Lord, don't say you want out! In service to the family, Books Talbot." I was just perusing a New Yorker and turned to an article "Ms Kennedy Regrets" subtitled "She's unable to be in the senate today." That's a reference to the song Cole Porter wrote for Bricktop, "Miss Otis Regrets (She's unable to lunch today)" and so I was startled, as I hadn't heard anything about C.K. murdering a lover, but of course I hear everything last (partly because I don't care). that evokes Bricktop, so it's all good. I completely underestimated how much snow we got the other day just based on what was on the deck railing - it was more like six inches and everything is still all white. Today is 1234567890 Day! w00t! Hippo votes have topped a thousand and Soft said, "Hahahaha, I love you guys. Alright, the hippos will have a home again. If anyone tries to tell me otherwise, I'll tell ya where and when to find 'em in-world." A resident made a patch for our hippo bug. "Today is very exciting for those of us at Miro, your favorite open-source, world-changing, delight-providing video player. Why? Because today we are launching Miro 2.0, totally redesigned and rebuilt." I've decided to step down from my director's position due to one thing and another, but the show itself is going to continue with cooperative direction. In 2006 I heard about a play challenge put on by Millions of Us. Entrants were to put on a 5 minute play in the brand-new New Globe Theatre, and out of all the challengers one would win X lindens. I persuaded Enjah to write a five minute play - I'd made an old quirky painting of mine into an Eileen McTeague poster, and Eileen Enjah had written a scene and performed live at the Photography Studio, so she expanded that one-woman snippet into a noir thriller with four characters. I was searching for actors, and originally started with Enj, Vlad Bjornson, and Selador Cellardoor. Vlad was unable to proceed and neither was Selador, but he recommended Lucifer Baphomet. As a ten foot tall red devil was OOC, Vlad was the model for the character, and Lucifer became "Sven" by looking at Vlad. We decided to change two characters into one (the couple whose houseguest is murdered became instead a single woman). One day Ida Keen turned up at the Photography Studio. I think I was fairly quick: "Hi, nice to meet you - I need you to be an actress in a play - ok?" - and was cast as the friend. She came up with the twist at the end of the play. I built the sets to fit on the New Globe stage, but we rehearsed mostly in Bodega, where the sets hung in the air over some land I was renting from Salazar. This was before hardware lighting, sculpties, and so forth, so it really was the Olden Days. After doing our best to solve some knotty problems we competed to a packed house and won! Well, there were no other entries, and Reuben said that it had been too hard for anyone else and gave us double the prize money but asked us to perform again immediately. So we did, and I think a third time in a row, too, when the sim was opened to everyone, and the lag was through the roof. It was fun and the best part was that it was a completeable task. 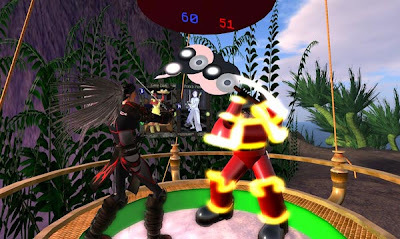 Before I go further let me state this: Performing in Second Life is really, really hard, and my performers are the bravest of souls. 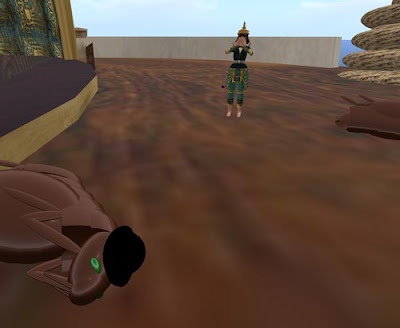 I decided the only format that would work in SL was a kind of music hall or vaudeville-style with self-contained acts. That way a show could be assembled from whoever could be there at the time/date needed. Luc didn't join us but Vlad and Salazar did! Enjah, Ida, Vlad, and Salazar formed the hardworking and inspired core of the troupe. I went around trying to whip people into a frenzy and held an event every week at Salazar's Cowell Village Amphitheatre. We were considering options for sound when Candide Lemay stepped in and made me an audio box and streamed the mp3s from his server. I applied for, and received, a small grant from the Foundation for Rich Content. The first act I wanted was a unicycling knitters drill team, and because Ida was the SL knit maven that came to pass. I learned how to build a unicycle that worked with Ida's knitting needles, Enj build a track and made exceptional costumes. Lucy joined the drill team and the show and became another core show member. I really cherish the time I've spent working with the many people who put time and effort into the shows, and who I would never've met at all had it not been for their interest in performing, including Caitlin, Maxie, Salamander, Cat, Monty, and others. Then a lot of things went on and people came and went, and so on and so forth, and now I'm putting away my tyrant's whip. I'll make posters and things for the show and things will be different but just as good or better, I'm sure. I enjoyed performing a lot, and enjoyed very, very much inventing acts and seeing them come alive. A Year-Old Story, But Who Is Counting. Anyone who plays Entropia is familiar with the concept of gathering sweat - here's a real-life sweat-gatherer, though, courtesy of the Sydney Morning Herald, which incidentally has "lathered" instead of "slathered" (unless hippo dung has foaming properties I am unaware of). 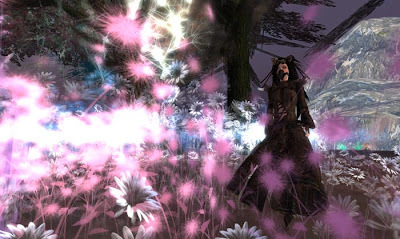 Oh, it's Flickr's fifth birthday today, no wonder I've been thinking about Game Neverending lately. A pretty little very round brown-grey dove landed on the balcony railing in front of me a few minutes ago, and tried peering in before fluttering off. I saw no band, but it was mostly sitting on its feet, which might've been a bit feathered. Oh, I just realised it's - wait, two - three - four - are sitting in the madrona looking miserable. The coloration is very pretty. Well, at least I think so. It looks like a mourning dove, but I'm no expert and can't even say if those are around here. I've never seen one before, at any rate. Lots of ducks ( might be two kinds as one male type has white sidewalls and the other doesn't) are swimming on the lake so perhaps the snow caused migrating birds to pause along their route. Update: Looked in a bird book and they are mourning doves, which live year-round here, except of course, in my particular situation I'm looking at a lake. A flock of redwinged blackbirds just vaulted curiously into the madrona to inspect the doves, which weren't at all bothered. "The faces of those killed began to emerge yesterday – photographs of children whose lives have now been snatched from them; couples who had no hope of outrunning the flames. Nine-year-old Neeve Buchanan died huddled with her brother and two friends in her grandmother's home. Rob and Natasha Davey, their daughters Jorja, three, and six-month-old baby Alexis were found incinerated in their car. Minutes earlier, Mr Davey had sent a text message to his friend with a photograph of the fire in the distance, the Melbourne Age reported. When his friend rang to check on them, he heard Mrs Davey screaming: "We're going! Fire." Then the phone went dead." It's awful to think about, especially people who obeyed government instructions to stay in their houses, and who were then incinerated. The good news is that on Monday, when I went to Olympia, the snow (nasty black heaps for the past many weeks) had finally melted! w00t! The bad news is that it's been snowing all day and everything is white (I really doubt it will be around very long, though). I accidentally stayed up all night again. Was thinking about this nice ancient video today - one of those inspired little movies that sticks in one's head. 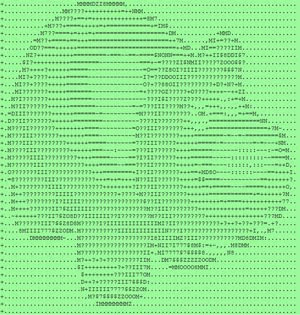 "If this gets 1,000 votes, I will submit a fix to maint-viewer that very day. ***"
He voted, as well, which was nice. The Big Picture has a collection of photographs of the bushfires near Melbourne (where much of my family live). This is boring and although I felt like writing it that doesn't mean I need anyone to read it. I still miss Game Neverending a bit even though I never really got to play. That's how I got to Flickr - one day they said GNE was being scrapped, but HEY! Take a look at our new photo-y-type thing! I think that was in... what... 2004 maybe. GNE was so... wry and complex and funny... too bad it poofed. I'm not really time-based, in part from early training. The separation wrought by time/space was something we, as a family, chose not to be part of. I did recently-ish relate how someone I hadn't seen for ten years rang me and said, "Where exactly is your house," and I said, "Are you visiting soon?" and she said, "We are on your road but we can't find the number." It never feels to me like there has been an interval; I can pick up where I left off with no trouble. I find however that people who are time-based (i.e. everyone else) attempt to corral me in their own reality, which is sad. Watching people, I realise that everyone thinks everyone else is forgetful because each person has priorities. That's a curious thing. I remember once talking to Jack (of, "Hey Jack - do you like snakes?" fame. **) We were discussing a film. He'd say, "Remember that scene where X hits Y with a pipe wrench then a gigantic fireball erupts?" and I would say something like, "No - but remember when he said blah blah blah?" Jack laughed and said, "I remember the action and you remember the dialogue." It's like that in everything, I think. I have all these thousands of reference points that go back years to conversations I remember very well, but what are they worth? Maybe I should just forget it all; forget everything. As in every post lately there's a cut-off point where I get tired, so every post is half-baked. * And for the record, one may paint things to which one has no deep connection - I painted things I couldn't understand because I wanted to gain insight and/or I thought they were funny. ** A huge, enormous, gigantic Black snake decided to coil itself all around the saddles in the stable, and we called gleefully up to Jack - who misheard it as, "Hey Jack, do you like steak?" and came thundering down the hill. We carefully moved the snake out the door and it slithered off unharmed. Michalius and Johannason in an epic battle. Mich won in the end but Joh was not easy to kill. Kat Burger hosted a fun event at 6pm today - and will be repeating it on Saturdays in the future. Offering cash prizes, the first tournament for new and seasoned players drew a small crowd, but is off to a very good start. Kat has Combat Cards arenas and her own excellent tournament boards set up at Spaceport, as well as many other games, and she offers gamers many hours of fun and good company. I noticed this a bit ago and said NOTHING - which I truly regret. It's more than a funny-silly Easter egg - it is our history and our continuity at stake here. 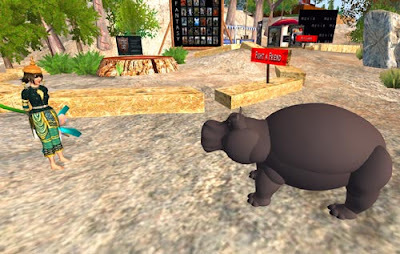 As everyone in Second Life knows (or should), hippopotamuses are the most important creature EVAH and have always been cherished and protected, enjoyed, and loved. Hippos give an SLer a warm and happy glow. Hippos go back to beta. Hippos have always been symbolic of the playful relationship between LL and us. If the playful relationship has evaporated we get joint custody of the hippos and want our control-alt-shift-H back. Salamander wowing us at the Drunken Monkey. I spent a bit of time getting in (did finally with the Hippo), and had a couple of crashes and a "you can't log back in because we think you are still in there" delay, and some failed teleports, but it was an adventure. It's attractive. Physics are different - noticeable to me as I jump everywhere. Teleporter pictures: go to Mt St Helens, space, and other places like the Hypergrid Gateway (that eluded me for a time as I just crashed, but I made it eventually). There's a lighthearted science theme that includes alien avatars (in a group of 4 male and 4 female primless free avatars). This version of 2001: A Space Odyssey and a static spaceship beaming up someone-or-other are more little fun additions. I was reminded irresistably of Cornell's SciFair inside the education branch of ActiveWorlds (I taught in there for a few years) - and I'm sure you can see why looking at the picture above. For some reason it felt like a cross between SL and AW to me - yes, I know that's heresy or at least an insult, but I think it was the shape of things and the signs. Wait... I bet the person who made it cut his teeth on ActiveWorlds. I told you I like reading about EVE. BOB was always interesting to read about. I wanted to expand what I could do in the digital realm, and saw a tiny blurb in print somewhere about There, which was going into beta. I applied and twiddled my thumbs for a long time, then got a green light and went in. That was, oh, autumn 2003. Immediately I read on the There forum about Second Life, and went to their website. I took the "joo cannod yuse this product or service if joo haff dial-ub" at face value and never tried making an account because *sound of a cat hacking up a very large hairball* I had dial-up. It's strange to look at the timeline as 2003 was the year both my parents died, my mother in the spring and my pater in the autumn. That summer was unbelievably awful in ways that went far beyond merely losing family members, and I don't want to think about it, but I came to understand that the grieving cycle lasts a year. * I spent 9 months of that time watching Losey's Don Giovanni 8645778565765 times, going to work, and, apparently, flitting about There on a hoverboard,* and then got broadband, hiked over to Second Life, and that was it. 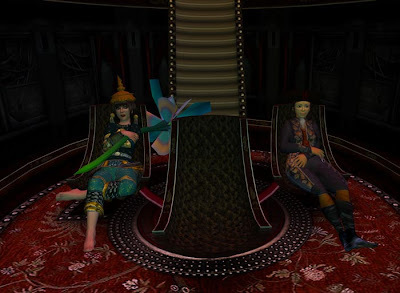 Although I poked my nose in various places like Project Entropia, Croquet, Multiverse, ATITD *retches*, and so on, SL was instantly my home and remains so today. 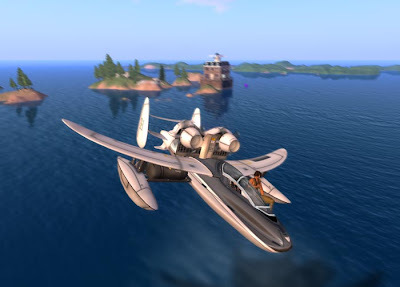 Coming from a less-than-free virtual world I appreciated the abilities Second Life gave to residents. It was obvious to me that the people at Linden Lab were idealistic, since they allowed residents to create in a more-or-less unfettered way despite the fact that what we came up with put serious pressure on the program itself. Three Lindens, Philip, Cory, and Robin, who shaped Second Life in an idealistic way to be a place rather than a mere business, were our visionary leaders and received exaggerated portions of adulation and ire. That was wonderful as I have no desire to live inside someone's business - but to live inside someone's dream is an opportunity to expand the boundaries of life itself. Cory was fired. That was a real shock. When Philip stepped down as CEO it was another shock, but for me, seeing Robin's "Linden Lifer" tag was reassuring as I interpreted it as "I am here for the long haul." Unfortunately that wasn't the case as we are losing Robin, who was a kind and thoughtful person. 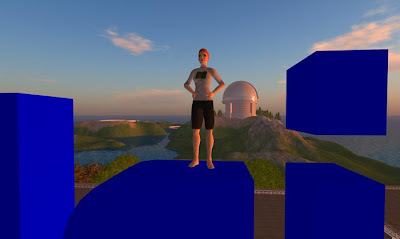 It's a bit early to tell, but I hope that Second Life continues to be connected to human existence in a greater, general way, rather than becoming a closed and ordinary little business as every other virtual world is. 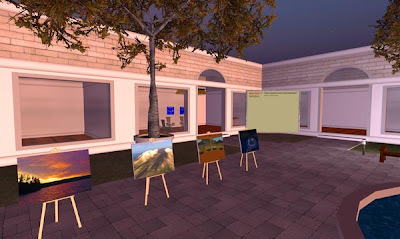 Second Life attracted me and held my attention with the ability to build and texture. I'm really only interested in making things; my entire life has been that way. I'm not much for looking at things - I get visually overloaded quickly, anyway. I'm not passive and I don't like arranging already-made things. I just like making things. When I entered Second Life I hit the ground running and made things day and night. Curtailing me now are physical and energy limitations. Some people who make things want an audience, while others don't care. Those who like to make things are often not those who wish to be the audience for other people who like to make things. It's always seemed to me that there are far more people making things in SL than there are audiences to appreciate those things. And why is that? The other day I was reading an old comment on an old article. The writer was explaining why many people don't like Second Life, and it came down to, more or less, that people who aren't interested in making things are amused by shopping and dancing and chatting for a bit, but then leave out of boredom as they want prepackaged "things to do" that involve the entirely faked notion of getting somewhere (levels). In other words, they want to feel they make something, not consume passively, but what they feel they are making is not something I have ever considered valid. Clearly that's not helpful, and I am realising that it may be foreign to me but it is analagous. For whatever reason - they may be creative in another part of their lives or not be creative much at all - there is a need that is going unfulfilled. I've tended to lump people into "creates" and "consumes" categories, but the two are side-by-side continuums, it appears. It was so hard to see because when I'm standing in a forest and someone shows me a picture of a city I don't recognise that as being THEIR forest. So - now what? *People kept dying on me every few months, though, so it was just a black time for ages and ages. ** I used to ask almost everyone I met if they'd been in SL. I'd watched that fireman-schoolmarm video umpteen times and I can remember saying to someone, "In Second Life you can BE A DUCK." I was highly impressed by that and so I should've been. The discothecque on Bourbon Island. 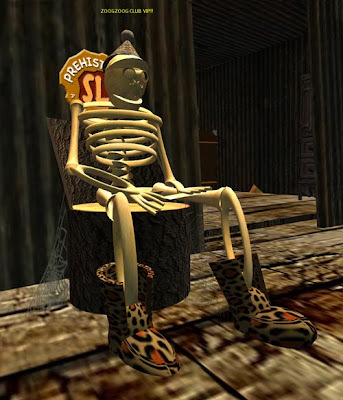 This isn't the most picturesque thing on the Bourbon Island build by YadNi Monde, but it's the funniest - a prehistoric camping chair: "Ugh stonemen has earned 1 Linden for 3 million years." Molly sent me off digging through the National Film Board of Canada archives. 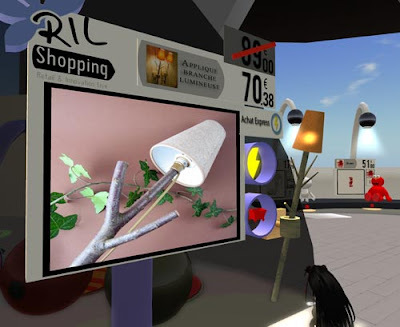 Real-world shopping through Second Life. I suppose larger companies need different strategies than small companies, and sometimes people who are interested in the starting up of a project are not so interested in the more mature project (not that I would call SL a mature project; it's still at its early stage), and changes are just things that happen in any living system, yet from down here in the mud it's a bit sad-making when someone closely connected to Second Life moves on (by choice or otherwise).